Kid3 is a customizable audio tag editor that supports a broad list of audio formats. The program functions with a variety of ID3 tags and convert between them. The program can also edit tags of multiple files, generate tags from filenames and from the contents of tag fields, generate filenames from tags, rename and create directories from tags and create playlist files. 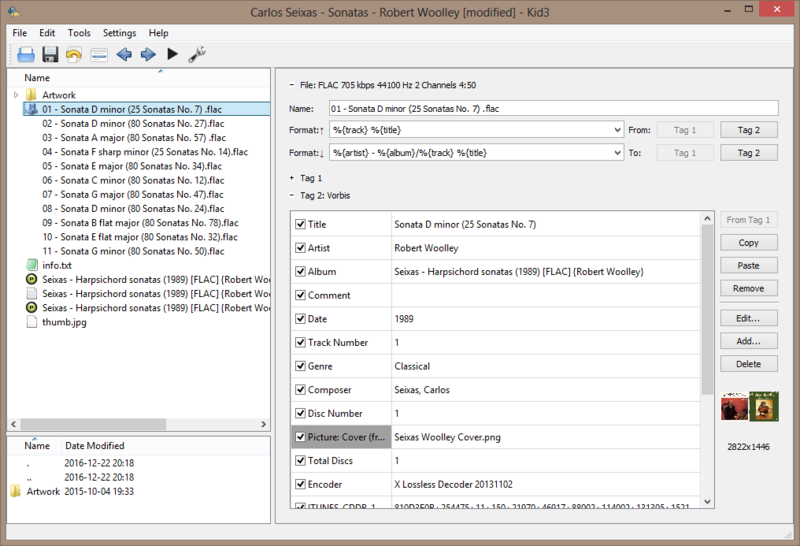 The program can also import from several sources including gnudb.org, TrackType.org, MusicBrainz, Discogs and Amazon, as well as export tags to CSV and HTML files. Formats supported include MP3, Ogg/Vorbis, FLAC, MPC, MP4/AAC, MP2, Opus, Speex, TrueAudio, WavPack, WMA, WAV, AIFF and APE. ID3 tag versions include v1.1, v2.3 and v2.4. Cross-platform with versions available for Android, Linux and macOS. How to extract: Download the ZIP package and extract it to a folder of your choice. Launch kid3.exe --portable.